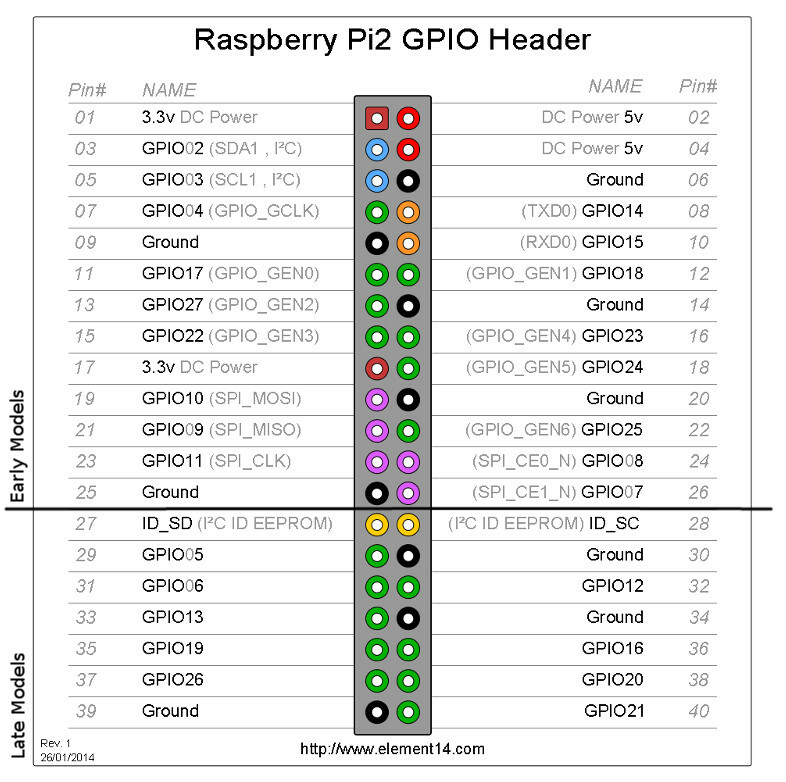 I am trying to setup a AM2302 (DHT22) to use with Raspberry Pi, and unable to get a signal. What I need help is to be able to conclude whether the problem is due to (1) sensor fault (2) wiring fault (3) software / missing dependency problem. 20/03/2019 Update - I have switched the wires with the correct GND pin #39 and the multi-meter reading shows 3.3V for the DAT and VCC, but again when I test using Adafruit_DHT and using the c driver, I get the same timeout error message. The wiring is posted in a second photo. I will have a try with another sensor, and then try using the piscope. I have followed the instructions online from Adafruit website to download and install the library and failed when attempting to run the test script. 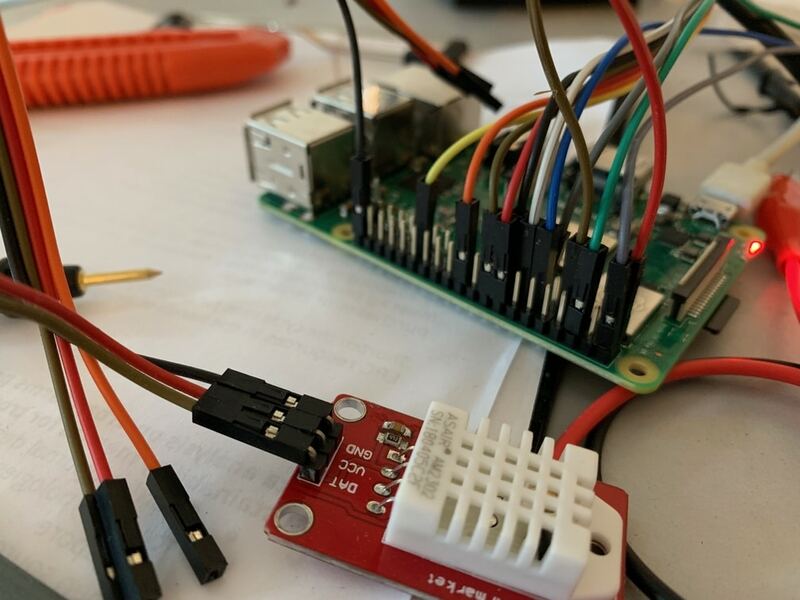 From what I have traced the error code to a timeout message "DHT_ERROR_TIMEOUT" that is thrown in the C script "pi_2_dht_read.c" indicating that the AM2302 is not responding with the expected low voltage pull following the signal request pulse from the program. I don't have much experience in C code and just basic fluency using Python. the value of signal DAT from the sensor using a multi-meter is always 0.67V, no matter whether the sensor is enclosed in a closed chamber with pool of water inside (100% enviroment) or if it is in ambient (65-75%). the value of DAT when the 3.3V is unplugged returns to 0V. Some other people have reported similar problem, and the caution message reported that "just waiting" or trying again will eventually get a reading. So I have applied the following test cases to test this theory, but I still get the same result. I have followed the instructions online from Adafruit website and also checked with a few other sources and still get the same result. // wait for DHT to pull pin low. // Timeout waiting for response. Failed to get reading. Try again! 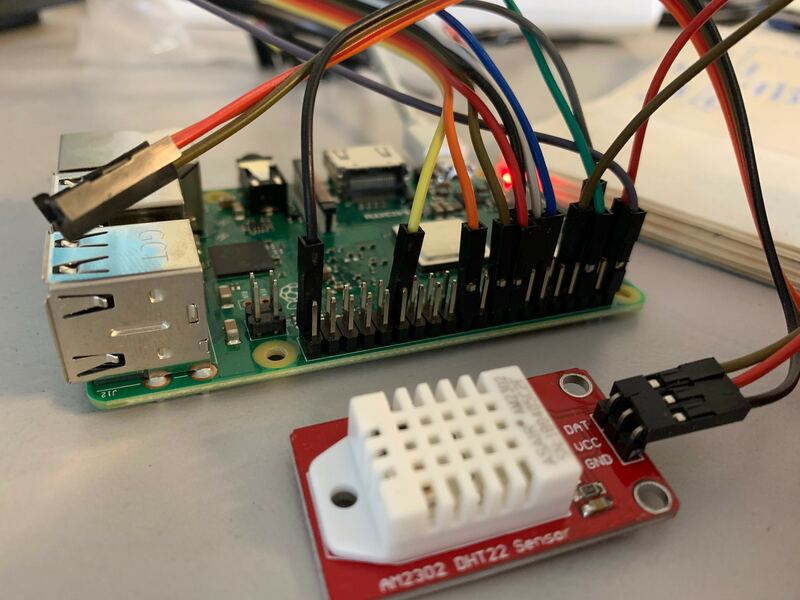 From your picture it looks like you have your "GND : Pin #39 (GND) black wire" actually connected to pin #40 on the Pi. This will definitely cause your problem. There seemed to be a driver problem as reinstallng the Adafruit library (essentially, updating it) helped acheive feed from the sensor. The issue could have a number of reasons, but is likely tied to raspbian OS version. Not the answer you're looking for? Browse other questions tagged pi-3b+ dht22 or ask your own question. How to determine if DHT22 is working?